The Ultimate Tool for the Professional Photographer! Recovers “once in a lifetime” moments thought to be lost forever! 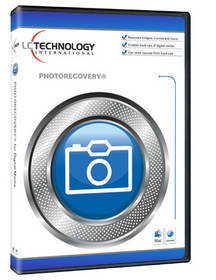 PHOTORECOVERY® 2013 recovery software is designed to recover digital images, movies and sound files from all types of digital media. It is the #1 data recovery software for Memory Stick™s, SmartMedia, CompactFlash I & II, Micro Drives, SD/XD cards, MMC, USB flash drives and most other forms of digital media. Simply attach the media to your computer (a card reader is recommended) and run PHOTORECOVERY® 2013. The pictures are automatically saved off to another location.